This device took its sweet time coming here, but Bell made it happen and the sexiest Sony smartphone is now available in Canada. 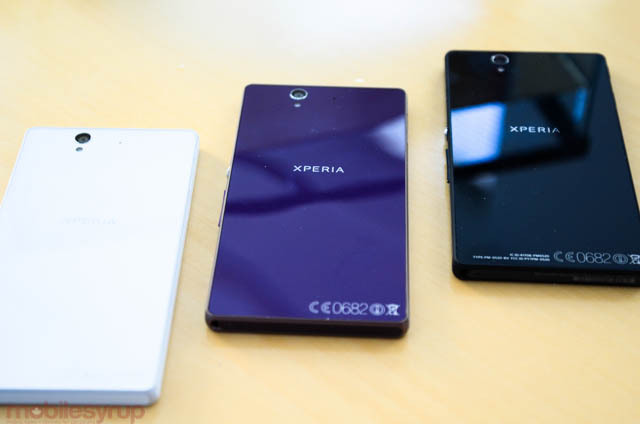 The Xperia Z, not to be confused with the ZL, is covered with tempered glass and has a 5-inch 1080×1920 pixel full HD display, LTE connectivity, a 13MP camera, a 1.5GHz quad-core processor, 2GB RAM, 16GB internal storage, 2,330mAh battery and runs Android OS 4.2 (will be upgrades to OS 4.3 soon). It’s also water- and dustproof. As for the price of scoring this thin Android – which comes in black, white and purple – is $149.95 on a 2-year plan and $649.95 outright. Interested? Have a look at our hands-on.